(TibetanReview.net, Jul01, 2016) – A multi-awarding winning Tibetan film director in the Chinese ruled Tibetan province of Qinghai had to be given hospital treatment while serving a five-day police detention order for having allegedly disrupted public order after he was involved in an altercation at an airport on Jun 25, according to several reports, including China’s official Xinhua news agency Jun 29. A UK-based Tibetan campaign group has, however, accused the Chinese police of having overreacted because the detainee, Pema Tseden, is a Tibetan, an observation also made by others. The Xinhua report said Pema Tseden had trespassed into an off-limits area at Caojiapu Airport in Xining, citing a statement from the public security bureau at the airport. It said the filmmaker had been trying to locate a piece of missing luggage when he attempted to access the controlled area and had to be physically restrained by airport security staff. On Jun 27 morning, Pema Tseden felt dizzy and complained of tightness in his chest. Two policemen took him to hospital, where he was diagnosed with high blood pressure and blood sugar levels, the report added. He was also seen to have injury marks on his wrist. “I suspect that the police were on high alert because he is Tibetan, and they are over-sensitive and over-suspicious [where Tibetans are concerned],” he has told Radio Free Asia (Washington) Jun 29. “Abuse and discrimination against Tibetans is embedded in the culture of China’s security forces and this deplorable incident will only have further fueled Tibetan anger against Chinese rule,” director Byrne-Rosengren further said. Reuters Jun 29 also cited people with knowledge of the case as saying they believed police had not recognized the director and detained him after the dispute. Meanwhile, the exile Tibetan administration at Dharamshala, India, said on its Tibet.net website Jun 30 that there were “speculations that the incident occurred due to Chinese authorities’ overreaction because of his Tibetan ethnicity”. Pema Tseden’s detention received wide coverage in the international media, prompting China’s international party mouthpiece globaltimes.cn Jun 30 to call it an overreaction. “If the filmmaker were Han Chinese and had gained less popularity, the detention would not have attracted such immense attention,” it “quoted” an expert in ethnology and anthropology as saying “on conditional of anonymity”. “It is irresponsible for foreign media to over-interpret and hype up run-of-the-mill detentions of Chinese citizens and thereby complicate the Tibetan question,” “he” was quoted a saying. 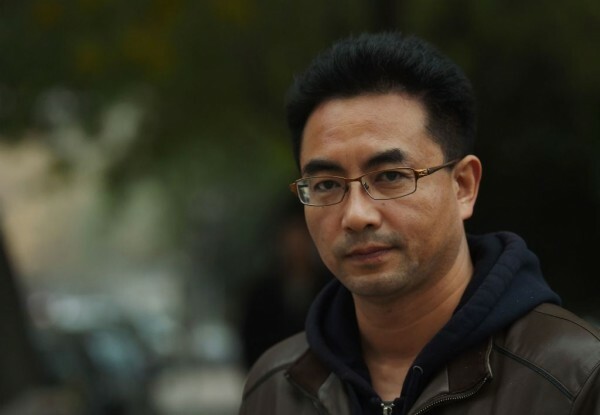 On the other hand, the Radio Free Asia report noted that Pema Tseden’s detention had come after a public outcry over the death in custody of environmentalist Lei Yang, following his detention by police in Changping, a suburb of Beijing, in May. Beijing’s state prosecutor later indicted five police officers for “dereliction of duty” in connection with Lei’s death, the report cited Chinese media as reporting Jun 29. The report said Pema Tseden, born in 1969 in Qinghai Province, had won many Chinese and international film awards, including the best adapted screenplay award at the Golden Horse Awards last year for his film “Tharlo.” He is the first director in the People’s Republic of China to make films entirely in the Tibetan language.